Why Maintenance Care Once a Month? What Is This Pain in My Neck? How Many Push-Ups Can You Do? How Does Massage Therapy Reduce Stress? Walk Hard. Walk Easy. Repeat. Athletes undertaking rigorous fitness regimes often push their bodies to the limit. Since their performance is based on the health and strength of their body, many need regular massage treatments and physical therapy sessions just to stay in shape and keep performing to their fullest potential. Some researchers believe chiropractic therapy also offers several benefits for athletes who are constantly pushing their body to the max. Whether they need to recover from injury, improve performance or increase joint flexibility, ongoing chiropractic treatments may be a valuable addition to their training regime. According to a study published in Chiropractic: The Journal of Chiropractic Research and Clinical Investigation by Lauro A and Mouch B in 1991, athletes exhibited a 30% improvement in performance after 12 weeks of chiropractic treatment. They were tested on several aspects of athletic ability including kinesthetic perception, power, reaction time, agility and balance. Those who did not receive chiropractic treatment showed only a 1% increase in performance after 6 weeks of treatment, while those who received the chiropractic treatments showed an 18% increase in performance after 6 weeks. Young athletes - not only professionals or Olympians - can also benefit from chiropractic treatment because this type of therapy enhances blood flow, improves range of motion and can also increase recovery rates after intensive training or a game. Full range of motion is particularly important for endurance athletes and those who must employ various types of stretches into their training routine. 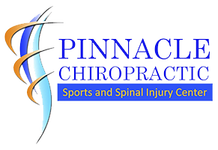 Many athletes only turn to chiropractors after they have been injured, but it may be more beneficial to incorporate chiropractic therapy into the weekly training routine. A sports chiropractor can offer specialized treatments for marathon runners, tennis players, football and basketball players, and other types of athletes who are constantly on the move. For high-performance athletes, natural methods of stress reduction and toxin removal are necessary for better health overall. Chiropractic treatments may play an important role in the lives of these athletes throughout their training season, and during their most competitive seasons.